When freelance writer Oobah Butler decided to make a fake restaurant for the purposes of proving that “TripAdvisor was a false reality”, he realised that he had a number of hurdles ahead of him. 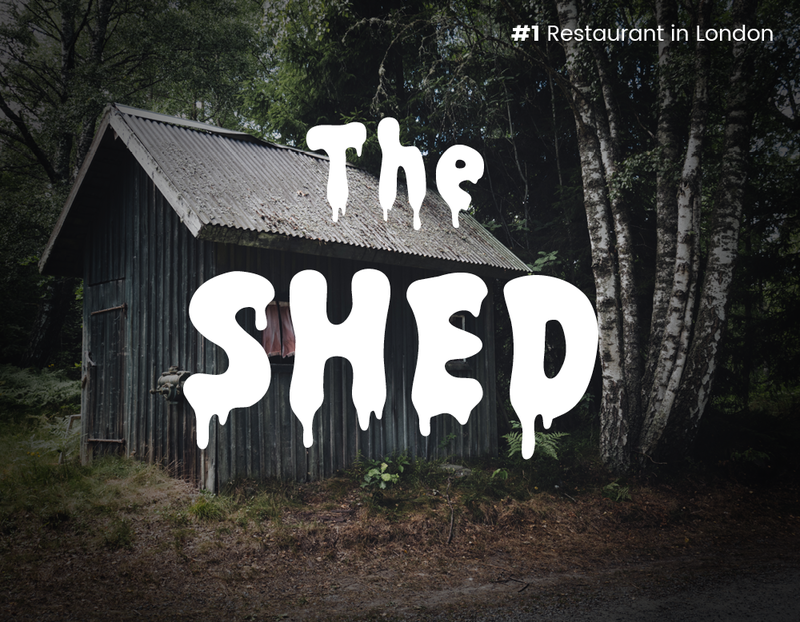 From overcoming TripAdvisor’s fraud checks, to convincing friends to write over 100 realistic-looking reviews and relying on the gullibility of the public, running The Shed became a full-time job, and all for a restaurant that never existed, and never had paying customers to satisfy. The technology that the review giant uses to map electronic data and look for patterns in behaviour is based on the techniques that banks use to detect fraud. Not only does TripAdvisor subject reviews to over 50 filters, but it also employs over 300 specialists from fields such as law enforcement, credit card fraud and forensic computing to monitor for abnormal activity. So part of Butler’s deception would have involved monitoring how many reviews were getting flagged — no doubt a full-time job in itself! So how did The Shed get past all of these safety measures to obtain over 100 reviews and rise to its #1 rank? The answer is actually quite simple: the entire restaurant was fake. There were no legitimate reviews to use as a basis for normal behaviour — falsified reviews were the norm in this case, rather than the exception — and there were no actual customers to refute the great experiences or report the reviews, since there was no restaurant to dine at and no experience to be had. The three sections that TripAdvisor sorts fake reviews into — boosting, vandalism and optimisation — didn’t really apply to The Shed. To put it in banking terms, it would be like someone walking into a bank and opening an account under a fake name, not to steal money or commit fraud, but simply to prove that you can do so without the fraud division catching onto your scheme. There was no scheme to catch on to! 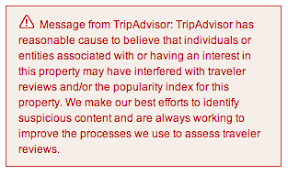 They are a common problem faced not only by TripAdvisor, but by sites from Yelp, to Facebook, to Google, and beyond. It's not only banks that need to monitor for fraudulent activity these days, and just about every website will have measures in place for making sure that its users aren’t trying to trick others. With the amount of fake news in circulation, people are also becoming more sceptical – and more aware of how much falsity the internet allows for – and users will often check multiple sources (or even use tools like Fakespot and ReviewMeta) before they believe anything they read. The fact that The Shed was only looking to scam TripAdvisor means that if you tried to look into the restaurant further, you would find little to sate your curiosity — everything from their website to their TripAdvisor and Facebook pages (the only two that were set up) is filled with scant details designed specifically to induce curiosity rather than satisfy it. If a real restaurant or hotel were to attempt to follow in The Shed’s footsteps and fake their reviews, it wouldn’t take long for potential guests or customers to realise that the overly positive sentiments that were expressed were out of sync with the feedback from others who had come before. By the time that the fake restaurant had decided to come clean to the public, TripAdvisor had already become more than a little suspicious. It may have taken longer than one would have expected due to the entire restaurant, rather than just one or two of its reviews, being falsified, but The Shed was on the review giant’s radar, according to the statement that they released after the full story behind the deception was posted online. The Shed may have reached the number one spot, but their success was short-lived. Butler also had nothing to lose, unlike a real restaurant, where the risk of penalties and a damaged reputation far outweigh the supposed benefits of fraudulent reviews. 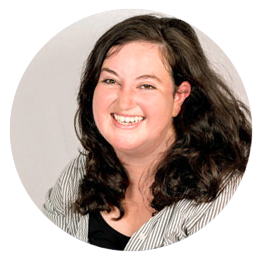 Considering the penalties that businesses caught faking reviews can be subject to, it stands to reason that only an entirely fake business would find the risk to be worth the reward, so to speak. Especially since the reward in this instance was nothing more than proving a point and achieving a certain amount of notoriety and a bit more than fifteen minutes of internet fame. Consider that, for a legitimate restaurant or hotel, falsified reviews can not only lead to penalties on the site itself (and the accompanying big red notices that outweigh any positive influence the fake review might have), but can also be considered unlawful or contradict consumer protection policies in a number of countries. And then consider that, unlike The (entirely fake) Shed, the establishment would have customers or guests who are able to flag or contradict suspicious reviews. The risk that a company takes by either writing or soliciting fake reviews becomes entirely unworth any reward that the company could hope to achieve from the small and short-lived boost that they may receive. Could soliciting only positive reviews or censoring negatives also break consumer protection laws? If you look at the current #1 restaurant in New York or #1 hotel in London, you may notice that there is one thing that they have in common. While the two both have a large number of overwhelmingly positive reviews, they also have a handful of terrible, poor and average reviews alongside those great ones. And that’s to be expected! No hotel is perfect, and no restaurant can satisfy every single customer that walks through their doors. No one expects perfection either, and that is why a listing with only positive reviews comes across as pretty suspicious to most readers. This is part of the reason (aside from possible legal ramifications) why you should never block (or try to prevent people from posting) a bad review — not only can it land you in legal hot water if you did, but by their very existence, negative reviews with great management responses can build trust with potential guests. Want to learn more about managing your TripAdvisor account? Check out our Guide to TripAdvisor, or click on the banner below to download The Essential TripAdvisor Checklist.